We understand very clearly that you are shipping important cargo. The following information will help to minimize your concerns. It includes a checklist for you to print and use when your vehicle arrives. What should I know about the vehicle shipping process? Highline vehicles are shipped across the United States every day, brand new and uncovered. Damage during shipping is rare. However, it is important to note that accidents are unpredictable and that on occasion, they do happen. Please contact your shipper for specific details of their liability coverage. Any reputable shipper follows standard industry procedures for insuring your vehicle. Please note that it is your responsibility to ascertain these details. 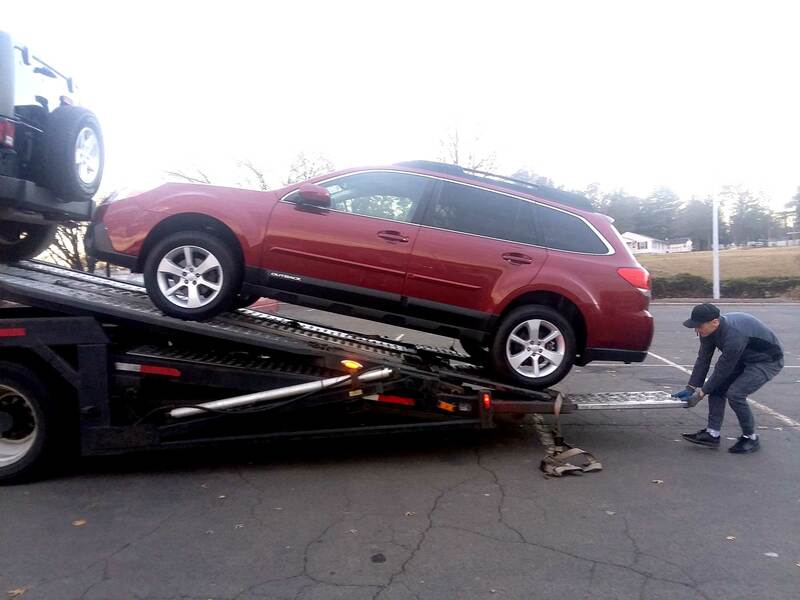 For those using our services, Car Pal, LLC is not responsible for determining or ensuring vehicle shipping details. Please note that shipping companies cannot guarantee delivery time due to variable factors including but not limited to: weather, traffic, road closings, detours, health of driver, interruptions, and/or delays at check points. None of these are within the shipper’s and/or driver’s control. Because of this, the vehicle shipping process requires your patience and flexibility. Shippers will courteously give you advance notice of arrival, so that you may be ready and available upon their arrival. When your vehicle arrives, we recommend that you follow the steps on the following checklist, and only make final payment for the vehicle when you are fully satisfied. Thoroughly inspect the vehicle inside and outside for small imperfections that may have occurred during shipping. Request that your “new to you” vehicle be parked in the sun for inspection (if applicable) and NOT in the shade. Call Car Pal (or your assigned representative) immediately if you have ANY concerns of ANY kind. In other words, do not wait until the shipper leaves to voice a concern or a potential concern. Make sure you receive two keys and two remotes. Before you sign anything, read the fine print of the receipt the transport representative gives you. Take the time you need to inspect your vehicle! While remaining respectful of the shipper’s time, do not allow the driver to rush or pressure you. Pay the driver after you are 100% satisfied with the delivery process, and obtain a receipt stating that you have paid him/her in full. Please note: Many customers prefer to test drive their vehicle while the transport driver waits. While it is reasonable to take a spin in the parking lot of the delivery location to make sure the vehicle is running as it should, please remember that the transport driver is not a representative of the car dealership. It is his/her responsibility to deliver the vehicle and collect the payment owed. To prevent drive-offs, it is reasonable for the transport driver to ask to drive in the vehicle as you drive briefly around the parking lot. If he or she should ask to drive with you during a short test drive at the time of delivery, you will understand why.